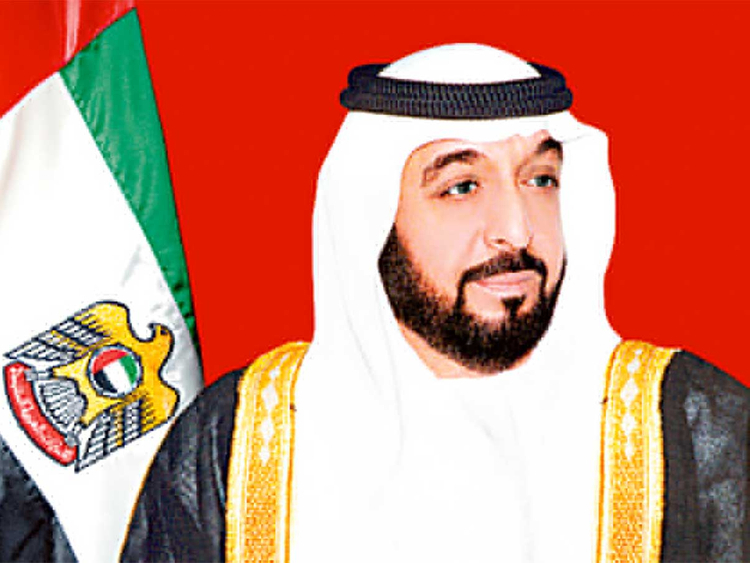 Abu Dhabi: President His Highness Shaikh Khalifa Bin Zayed Al Nahyan has issued law no. (20) for the year 2018 to establish the Emirates Water and Electricity Company (EWEC) as a 'public shareholding company'. As part of the law, EWEC will replace the Abu Dhabi Water and Electricity Company (ADWEC) and will be under the umbrella of Abu Dhabi Power Corporation. The formation of EWEC will pave the way for the Federal Electricity and Water Authority (FEWA) to join the new company, with the objective of unifying water production and power generation efforts in Abu Dhabi and the emirates that are currently served by FEWA. Establishing ‘Emirates Water and Electricity Company’ comes as recommended by the UAE Government Annual Meetings, held in Abu Dhabi on November 27 and 28, 2018, to build effective partnerships across the country’s vital sectors. Teams, representing federal and local entities, gathered to focus on developing government work, discuss current and future challenges, and come up with national initiatives and effective recommendations to take government work further, towards achieving UAE Vision 2021. Work is currently underway to finalise bilateral integration agreements between EWEC and FEWA, and the two entities will work towards unifying water production and power generation. Once the agreements are completed, EWEC will handle purchasing, selling, planning, organising and managing supply and demand and trade of production capacity for water and electricity in Abu Dhabi and the majority of the country’s emirates. EWEC’s headquarters will be based in Abu Dhabi and will provide water production and power generation services in accordance with the highest standards of transparency, reliability and competitive costing, in Abu Dhabi and the northern emirates, and aims to enhance production capacity efficiency in the UAE. The company will be the single buyer of all power generation for water and electricity to guarantee securing the expected needs of these resources in Abu Dhabi and the emirates in which FEWA operates. We are entering a new phase to unify efforts related to the production and management of demand for water and power in the UAE, and we extend our thanks and appreciation to the UAE’s wise leadership for their guidance and directives that aim to strengthen cooperation amongst our national institutions, an area which benefits the country, citizens and residents. Eng. Awaidha Al Marar, Chairman of the Department of Energy (DOE), said: “The energy sector has witnessed impactful transformations in recent years throughout the country, and in Abu Dhabi specifically, positioning the UAE’s capital as a distinguished international hub for developing water and power generation technologies. This partnership represents an ideal opportunity to benefit from Abu Dhabi’s experience and unify efforts in terms of best practice utilization of resources and expertise on the national level to provide excellent services to the country and its citizens. Upon unifying efforts between EWEC and FEWA, the company will cover the water and power needs of the majority of the UAE and will be responsible for distributing more than 80 terawatts of electricity and 1.2 billion cubic meters of water in the country annually. The new company will also oversee the progress and completion of power and water projects that are currently underway and that will contribute to a system able to supply over 1000 million daily gallons of water and more than 25 gigawatts of electricity, once these projects are completed. Al Hajeri went on to say that the new partnership will pave the way for Abu Dhabi Power Corporation to take on a central role to further advance the sector on a national level, in line with the aspirations of the UAE’s wise leadership while meeting the needs of citizens and residents. EWEC aims to leverage technological advancements in the fields of water and power production. The Company will rely on diversifying energy resources to support efforts geared towards achieving and supporting sustainable socio—economic and environmental development. Additionally, EWEC will benefit from infrastructure integration to launch various unified planning projects to manage supply and demand by relying on traditional or renewable energy production. EWEC will also meet demand for water through advanced production means which utilizes modern, eco-friendly methods that are both efficient and cost-effective.